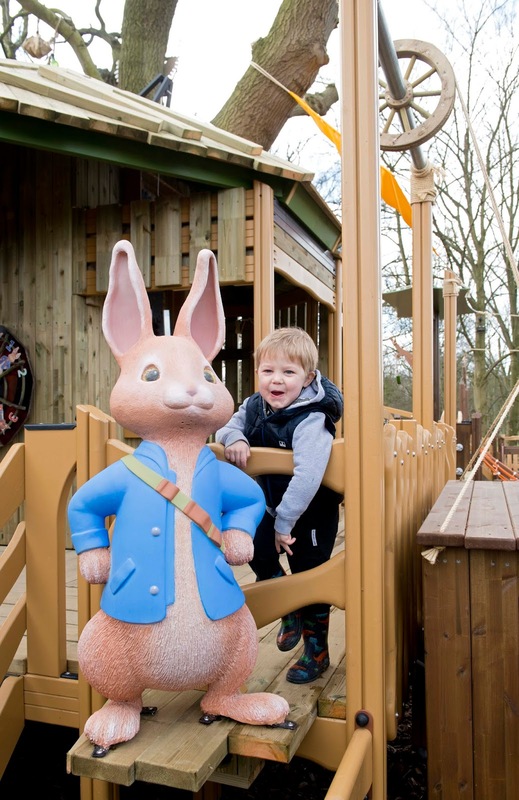 Officially opening on the 2nd April 2016, if your little ones are fans of Peter Rabbit - you must pay a visit to Willows Farm, St Albans, Hertfordshire. The project has been developed with Silvergate Media, owners of the animated Peter Rabbit with Lappset Creative, experts in play equipment. It's opening in the 150th year since the birth of Beatrix Potter. The Peter Rabbit Playground is the first of its kind in the world and includes lots of activities based on the famous characters and has had over £1 million invested into its launch. Willows welcomes the stars of the CBeebies series including Lily Bobtail and Peter Rabbit himself, who are meeting and greeting visitors daily. In the Willows countryside setting there are outdoor climbing frames as well as slides and rope walkways at the Secret Treehouse and the Benjamin Bunny Treetop Adventure. Other features like the Jeremy Fisher Music Pond, where children can bounce about on lily pads to hear musical sounds and the Mr Bouncer Great Invention, a sensory gaming activity to learn about numbers and colours in a fun and educational way.